Having grown up in an environment full of music and dance, I believe that dance has power to change humanity.We are all born to dance, sing, play and smile. A society without music and dance is a society without culture and memories. It is for this reason that I made a deliberate choice and conscious decision to pursue a career in music and dance. I have established an eight year old career as a dance educator, performer, researcher, writer and percussionist working with diverse populations in academic, non-academic, formal, semi-formal and informal settings in Africa and North America. I am currently a doctoral candidate of dance studies at the University of Auckland, New Zealand. My research investigates expropriation and appropriation of traditional dances in urban education and the pedagogies that underpin these dances in urban spaces. I hold a Master's degree in Dance Education from New York University, and a Master's degree in Performing Arts (Dance Anthropology) and a BA in Dance, both from Makerere University. Since 2006, I have worked as an assistant lecturer of dance at Makerere University and adjunct faculty at NYU, conducted research in the field of dance, presented in conferences in Africa, the U.S., and Europe, performed in festivals in Africa and the U.S., and staged choreography in Africa and the U.S. My journey of humanizing mankind through music and dance has just started! Any step you add to this journey will make the much needed change and difference that we all imagine! Alfdaniels Mivule Basiibye Mabingo holds a Bachelor of Arts Degree in Dance (First Class- Hons) and a Masters Degree in Performing Arts specializing in Dance Anthropology from Makerere University. In 2006, he was appointed as a Teaching Assistant of Dance at the Department of Music, Dance and Drama, Makerere University. Some of the courses include but are not limited to; Research Methods for Dance, African Dance Anthropology, Dance Performance, Dance Criticism and Analysis. He has researched and presented papers about dance both nationally and internationally. His key area of interest is looking at dance as space for individual and cultural expression, definition, articulation and narration. Mabingo is also a dance choreographer and performer. His style of choreography is African Contemporary Dance, a genre that combines both the African and Western techniques of dance performance and choreography. 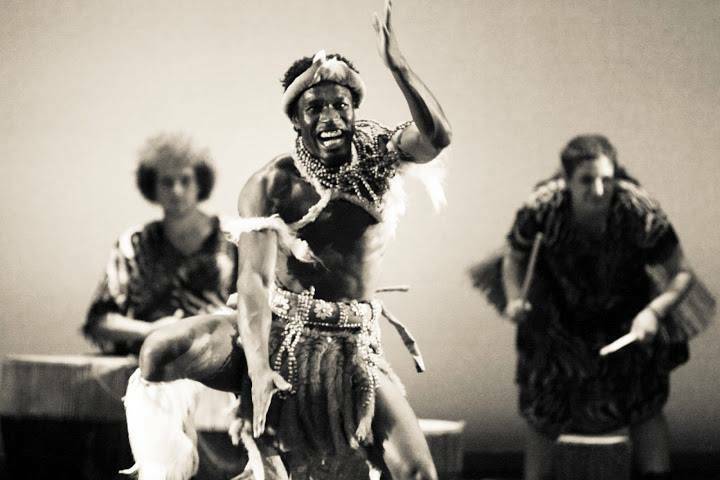 Some of the dance pieces he has choreographed and stage include; The Journey (2005), The Smile of the Oppressed (2006), "Ndi mu Firika" – I am an African (2007), The meeting point (2008), Irresistible and Between Four Eyes (2009). Throughout his professional work as choreographer, Mabingo has collaborated with both national and international choreographers. November 2005: Festival Participant, Inter-University Music, Dance and Drama festival, Butare, Rwanda. January 2005 : Workshop Facilitator for Fagil Mandy Education Consultancy Duties: September 2004: Festival Participant; Annual Bagamoyo Festival, Tanzania. August 2004: Workshop Facilitator of a contemporary Dance Workshop organized by Ndere centre, British Council in collaboration with Dynion Dance Company from Wales. He has worked on community based projects with much focus put on how dance can be used as a tool of rehabilitation for psychologically, emotionally and physically disadvantaged people. He has worked with children organizations such as Kiwanga Children's Home, Naguru Remand Home, Blessed Family, Life in Africa, Uganda Heritage Roots, among others. He is the Executive Director of Haniba Foundation, an Organization that houses Haniba Centre of Dance Documentation and Archiving, Haniba Centre for Cross cultural studies, and Haniba Dance Company. He serves as the Chairman Board of Trustees Music and cultural Arts Promotion and General Secretary of Dance Week Uganda.